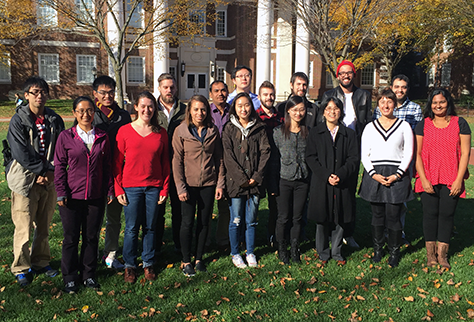 Welcome to the Jia Research Group in the Department of Materials Science and Engineering at the University of Delaware. Our research lies at the interface of materials and biology. We are interested in developing intelligent biomaterials that closely mimic the molecular composition, biological functions, mechanical responsiveness and multiscale organizations of the natural extracellular matrices. These synthetic matrices are constructed using diverse and modular building blocks employing highly efficient bio-orthogonal coupling chemistries in conjunction with concerted supramolecular interactions. Examples of these materials are hyaluronic acid–based microgels and doubly crosslinked networks, mechano–responsive hydrogels crosslinked by block copolymer micelles and peptide/polymer multiblock hybrid copolymers. These materials, combined with defined mechanical cues and biological factors, create a three dimensional microenvironment for improved understanding of cell biology. 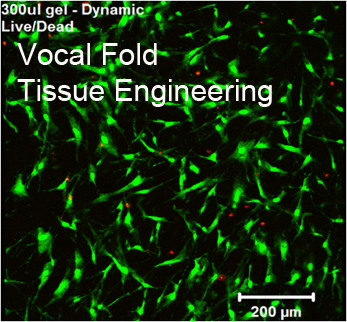 Using biologically inspired paradigms, we are developing methodologies for the engineering of healthy, replacement tissues such as cartilage, vocal folds and salivary glands, as well as disease models, such as prostate cancer tumor spheroids. Students and postdocs in the Jia Group not only develop creative and critical thinking skills but also gain knowledge and experience in materials design, synthesis and characterization; cell and molecular biology as well as tissue engineering and drug delivery principles.